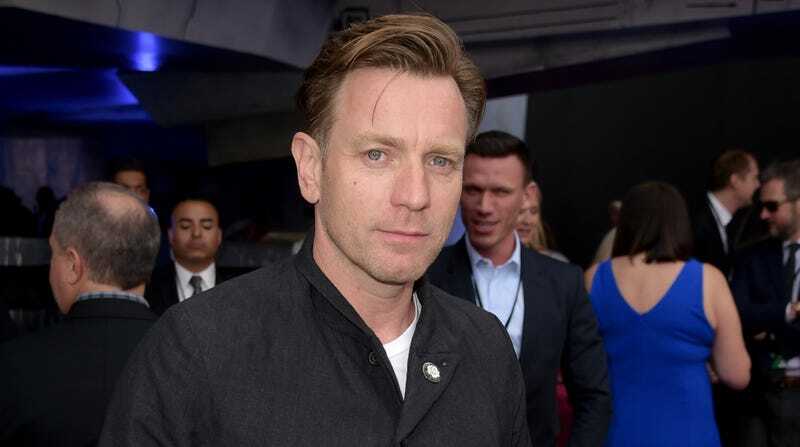 Ewan McGregor is going to have to start getting some practice riding a Big Wheel through the hallways of a spooky hotel, because he has signed on to play Danny Torrance in Mike Flanagan’s Doctor Sleep, the adaptation of Stephen King’s sequel to The Shining. That comes from Variety, which says King has “given his blessing” to McGregor’s casting, so hopefully he’s not preparing to disavow this like he has Stanley Kubrick’s version of The Shining. Also, McGregor’s great, so he can totally pull off the many Big Wheel scenes that we’re sure will be in Doctor Sleep. For real, though, the original book is about a grown-up Danny meeting and mentoring a young girl with same psychic abilities that he has, and together they have to face off against a gang of killers who seem to have abilities of their own and have been feeding off of the psychic “steam” of their victims. The book didn’t get great reviews, but Gerald’s Game (Flanagan’s last King adaptation) did, so the Doctor Sleep movie should end up at least somewhere in the middle.